Kataru's love and pursuit of Farming: Final bloom update. After the morning fog burned off about 10 am, it was a pretty fair bee-day today. Pics taken at 11:30 am and there is already a lot of bee activity. 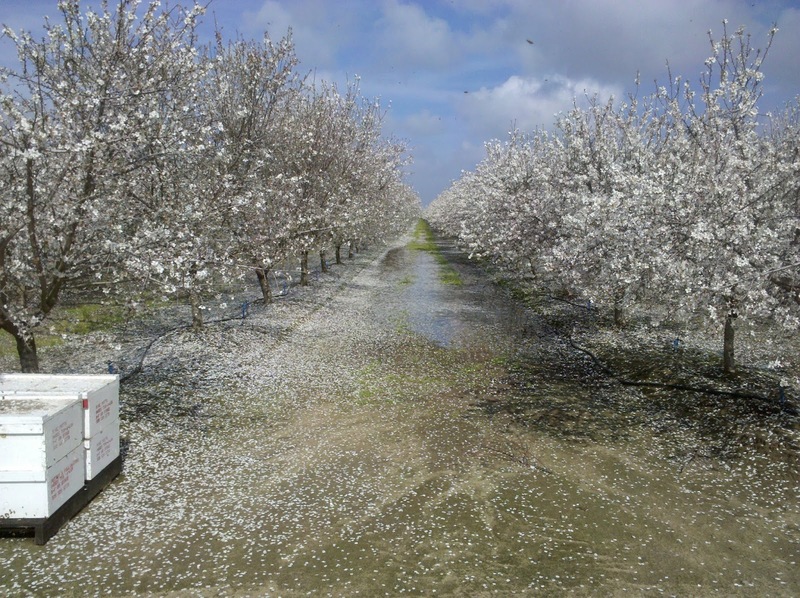 Petals are beginning to fall, especially Nonpariel, also notice the amount of water on the ground. 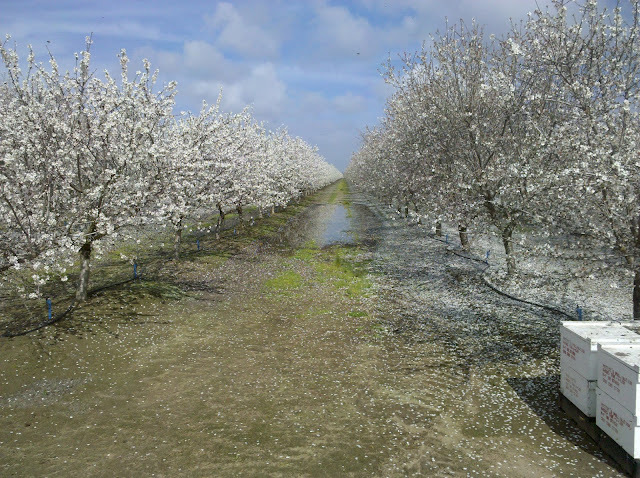 There are still a few more days for pollination to occur. Based on Lane's conversation with Blue Orchard Bee apiculturist, these bees are very effective pollinators and are active at cooler temperatures than honeybees. There are challenges in managing them, but people are learning how. I think we will supplement the honeybees with them next year if he is successful in increasing the size of his bee population. 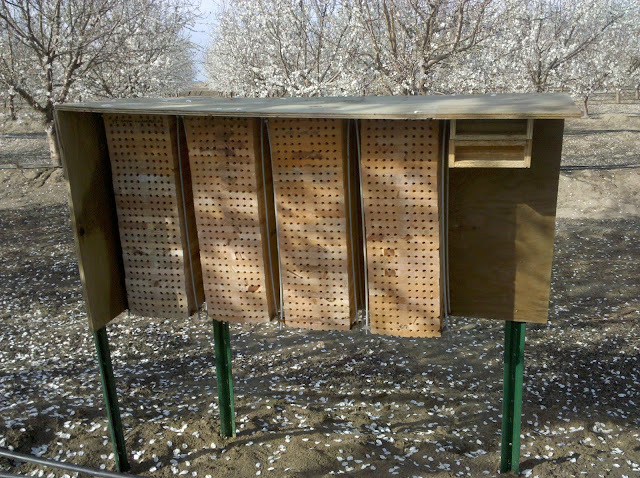 They are solitary bees, not social. Latest research: Stop pruning your almond trees! Rain rain go away.. Come again another day..
Honeybee, Oh, Honeybee.. Thy wings are so dear.. Waiting for bloom.. Root stock in for candycots.